The Mokelumne Hatchery program has so many new elements it is hard to say which has been most effective. The run has steadily increased. However, most of the adult escapement, including in-river spawners, is of hatchery origin. Besides all the straying, many fish scientists and managers remain concerned about the dominance of the hatcheries and lack of wild fish recovery throughout the Central Valley. Can the dam-free rivers without hatcheries retain wild salmon populations with all the hatchery strays “polluting” their gene pools? Do hatcheries bring complacency and lead to lack of protections for wild fish and their habitats? These are tough questions. However, one thing is for sure: given the dominance of hatchery salmon, it is safe to say there would be far less salmon and few salmon fisheries in California without the hatcheries. Some “wild” salmon rivers may not even have significant salmon runs without hatcheries hatchery strays (e.g., Yuba, Putah, Cache, Cosumnes, Calaveras, San Joaquin, Stanislaus, etc.). The importance and dominance of the hatchery program to the Mokelumne salmon run can be seen in the long term escapement estimates 1975-2016 (Figure 1). Note that the near record low run in 2008 led to the record high run in 2011. This reflects the fact it does not take a lot of salmon reaching the hatchery to produce enough smolts to produce a record run under high survival conditions for the smolts. In addition, with good survival and strong runs throughout the Valley in wet year 2011, there were high numbers of strays from other rivers that added to the Mokelumne run. 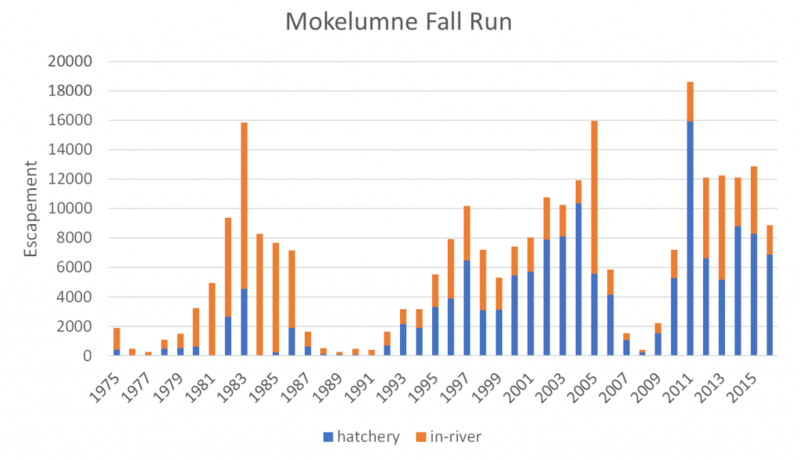 Analysis of historic coded-wire-tag return data for the Mokelumne hatchery smolt releases by release year indicates some reasonably good returns (>1%) for the recent 2009 to 2013 release years (Figure 2). 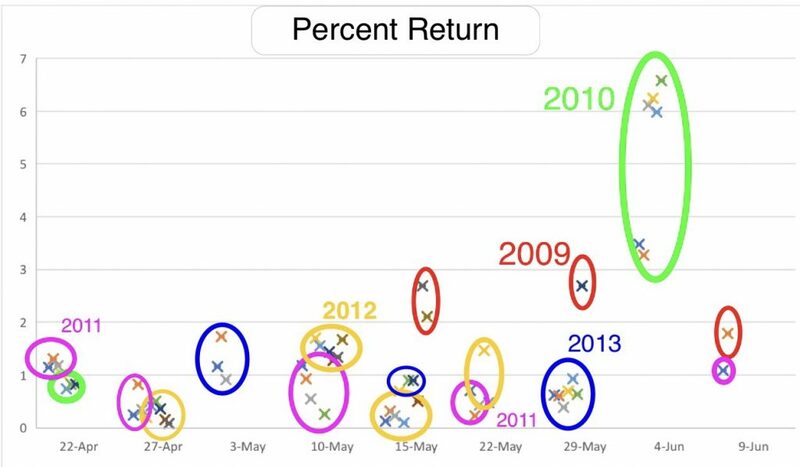 Release years 2009 and 2010 were exceptional, with 2 to 6 % returns. This likely reflected the normal and wet water years of 2010-2012. Release years 2011-2013 generally had poor river and ocean rearing conditions as well as poor adult return and spawning conditions upon their return. Good survival for release years 2009 and 2010 likely contributed to the record run of adults and grilse (jacks – early return adults) in 2011. While little tag return data for release years 2014-2016 are yet available, it is likely that the 2015 release had high survival on the order of the 2009 and 2010 releases to bring about the near record run in 2017. High 2017 returns may have occurred from a number of factors, including barging smolts and spring flow pulse in 2015, good river conditions in late summer and fall 2017, and good ocean conditions in 2016-2017. What is the proportion of hatchery fish in the run? Since 25 % of the hatchery smolts are marked it should be possible to estimate the proportion of hatchery and wild river-born salmon in the adult run. With genetic sampling, the contribution of wild genes may also be determined. What were conditions in the Delta during and after releases? In summary, near record fall run salmon hatchery runs in 2017 indicates potentially increased hatchery contributions that could be built upon to improve salmon fisheries dependent on the Central Valley hatcheries. To help the state maintain compliance, Reclamation began weekday closings of the Delta Cross Channel (DCC) (Figure 1), opening the DCC only on weekends to facilitate boat travel (Figure 2). 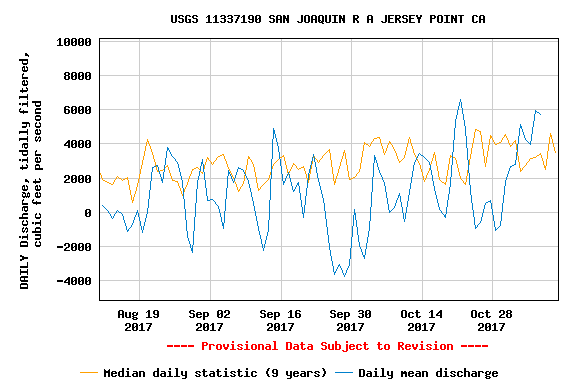 Closure of the DCC forces more of the Sacramento River flow down the north Delta channel (Figures 3 and 4) repelling salt intrusion in eastern Suisun Bay near Collinsville (km 81) (Figure 5). 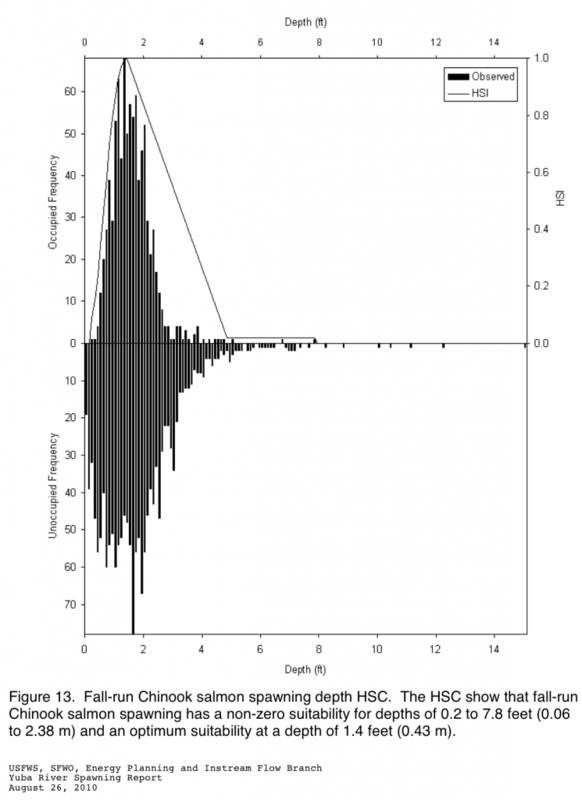 The closure occurred 10 to 12 weeks earlier than normal (usually December 15), a highly unusual and provocative manipulation of Delta hydrodynamics. Its continued application after November 1 changes the hydrodynamic effects. Now that the Fall X2 requirement has expired, Delta outflow is lower and exports are higher. Under these conditions, DCC closure contributes to greater salinity intrusion into the central Delta via the lower San Joaquin channel and False River, moving Low Salinity Zone and Delta smelt back toward the central Delta. DCC closure also helps more Mokelumne River adult salmon better hone in on their home river by keeping Mokelumne water out of the Sacramento channel near and below the DCC.2 However, Sacramento River salmon that enter the Mokelumne forks when the DCC is open on weekends would be blocked and delayed when the DCC is closed during the week. Closing the DCC also reduces San Joaquin channel net freshwater flows (Figure 6), which may hinder migrations of Sacramento, Mokelumne, and San Joaquin river adult salmon migrating up the San Joaquin channel of the Delta. A likely upside of this unusual manipulation of cross-Delta freshwater flow is that it serves to keep the Sacramento River channel of the Delta fresher, which is part of the intent of the Fall X2 requirement. This action has minimal cost to reservoir storage and Delta exports, and it reduces straying of returning Mokelumne River hatchery salmon. On the downside, these DCC operations disrupt Delta hydrodynamics and water quality, move the Low Salinity Zone into the central Delta threatening Delta smelt survival, and interrupt salmon migrations in the Sacramento and San Joaquin rivers. It is likely that the Delta’s adaptive managers neither monitored nor assessed these potential downside ramifications. Figure 2. 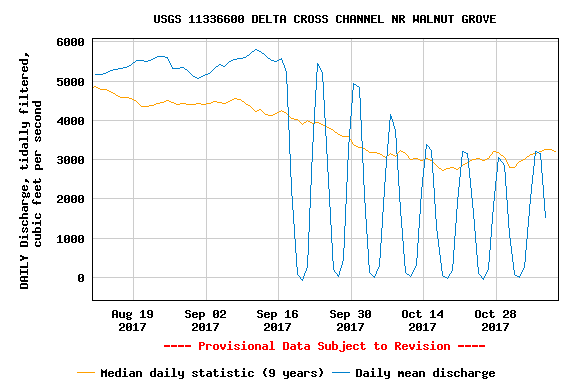 Reclamation began weekday closure of the Delta Cross Channel in mid-September (flow values are 0 on seven day intervals). Figure 3. 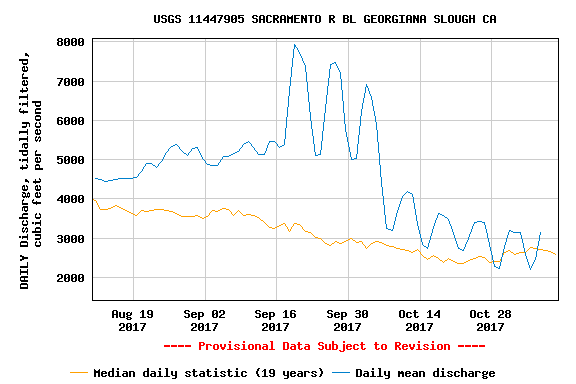 Weekday closure of the Delta Cross Channel in mid-September increased net flow downstream of the DCC in the Sacramento River channel below Georgina Slough. Figure 4. 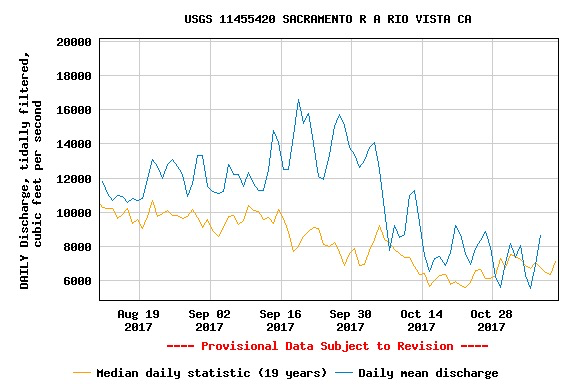 Weekday closure of the Delta Cross Channel in mid-September increased net flow downstream of the DCC in the Sacramento River channel at Rio Vista. Figure 5. 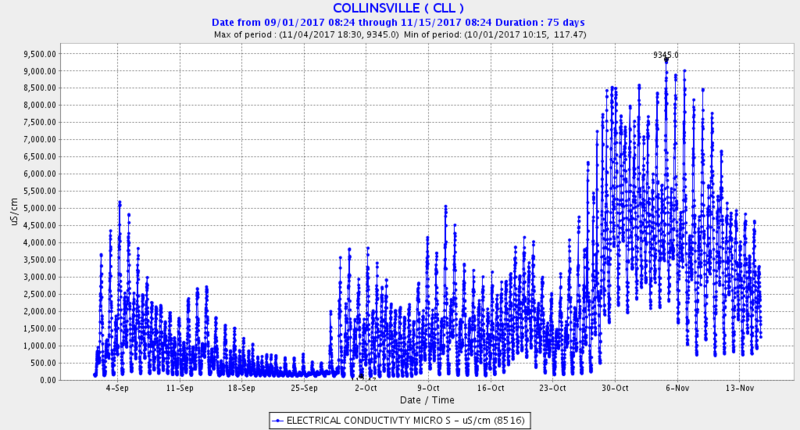 Weekly closures of the Delta Cross Channel helped to maintain Fall X2 below Collinsville (km 81) through October in 2017. Figure 6. Sporadic closure of the Delta Cross Channel reduces net freshwater flow in the lower San Joaquin channel in the central and western Delta. Shasta Dam releases were cut by a third during the first week of November, dropping water levels in the Redding salmon spawning reach by one to two feet (Figures 1 and 2). Delta CVP export demands declined, water temperatures dropped, and rain contributed modest flows from lower Sacramento tributaries, thus minimizing need for Shasta releases. Fall X2 flows are no longer are needed in the Delta. Might as well cut Shasta flows to save water for next year! But somebody forgot that tens of thousands of spring-run and fall-run salmon that just finished spawning in the 50 miles of river below Shasta around Redding, Anderson, and Red Bluff! Will the water level drop hurt the fresh spawning redds? Yes, most certainly! 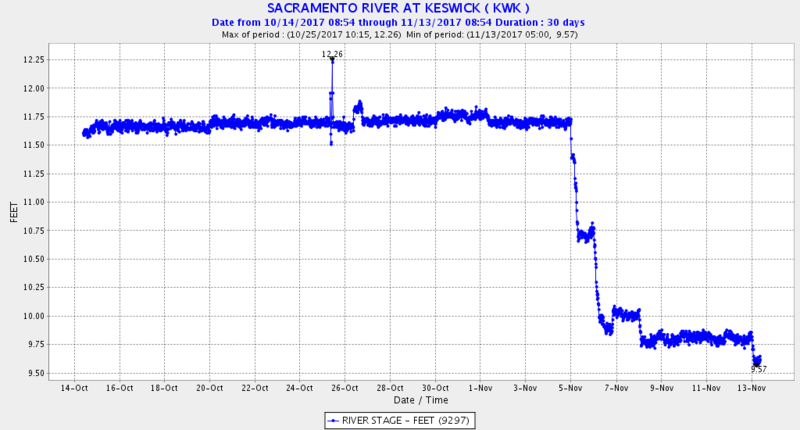 Figures 3 and 4 show depth use and optimum suitability for fall run Sacramento River spawners. 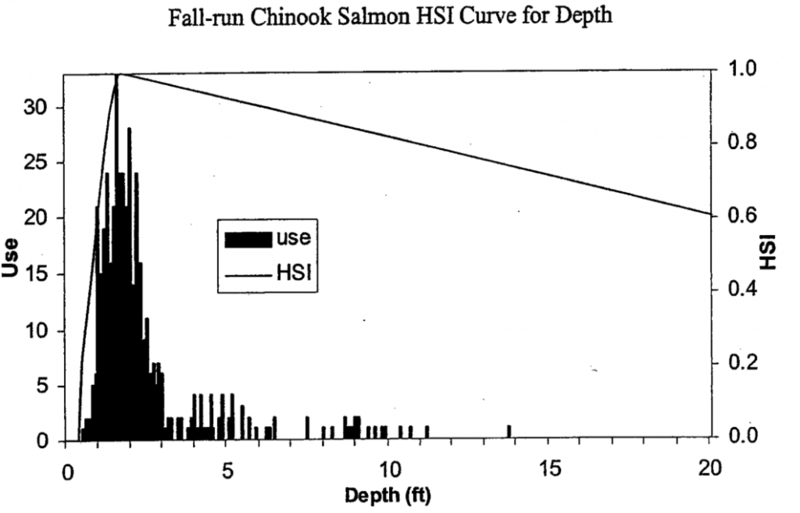 The most used depth and optimum suitability for salmon spawning is between one and two feet. A one to two foot drop in water levels after spawning is not likely to create a good outcome. It would dewater many redds. It would lower flows and provide less oxygen, and more siltation in the redds that remained in the water, causing significant egg/embryo mortality of the eggs that survive the initial drop in the water level. These conditions could lead to a major loss of wild salmon production. There is no valid reason for cutting the flows. Shasta storage is 3.15 million acre-ft, 120% of normal, near the all-time record of 3.25 maf for November. Who is guarding the henhouse? Where is that wonderful adaptive management federal and state agencies brag about? Figure 1. River stage below Keswick Dam, Oct-Nov 2017. Figure 2. 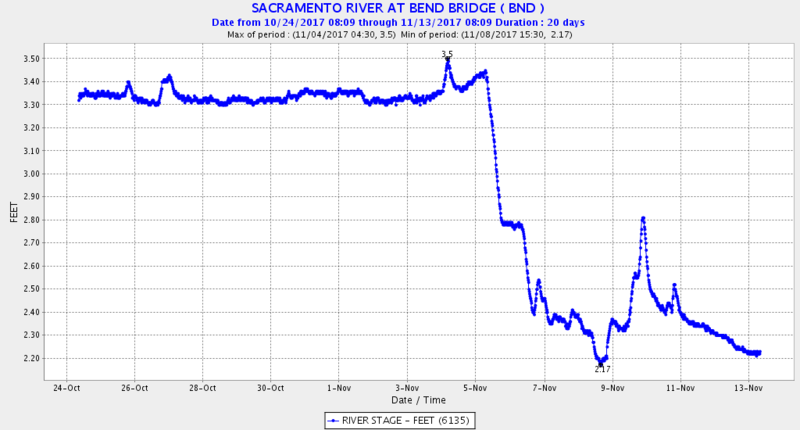 River stage at Bend Bridge near Red Bluff, Oct-Nov 2017. The Metropolitan Water District of Southern California, commonly known as MWD, recently released a series of information papers on the California WaterFix (Delta Tunnels). In this post, I further address MWD’s “assessment” of what will happen to the Bay-Delta environment and fish community if the WaterFix is built and operated. Excerpts from MWD’s papers and my comments follow. Comment: The proposed plan is unsound, not science-based, with no operations or adaptive management plan. The WaterFix will wreak havoc on the Central Valley, Bay-Delta ecosystem. That havoc will further water wars, not reliability. Fishery habitat that depends on freshwater input will get less of it. This will make the Bay-Delta warmer, saltier, more polluted, and more subject to the rigors of climate change. Southern California will take the fresh clean Sierra water, leaving behind new burdens on the Bay-Delta. State Water Project and Central Valley Project operations have been, and continue to be, affected by regulations that seek to change flow regimes in the Delta by setting rules for outflow variables. This has decreased operational flexibility and reduced exports to 25 million Californians who receive water from the SWP and CVP south of the Delta and millions of acres of irrigated farmland. Comment: Woe be it to saving some water for the rivers, Delta, and Bay. Exports have increased each decade since the 60’s, when the SWP was built. Delta export records were set in the 2000’s, reaching above 6 million acre-feet, only to be further eclipsed in 2011 and nearly so in 2017. Relaxed outflow and salinity regulations in the 2012-2015 drought decimated fisheries and brought salt levels to the Delta not seen in four decades. Such low flow and higher salinity conditions would be the new norm under the WaterFix. A more natural flow direction in the Delta during critical fish protection periods will increase water supply reliability and minimize reverse flows. North Delta diversions, fish screen designs, bypass flow criteria and real time operations will be managed to limit effects on listed fish species. Comment: Flow direction will not change – continued South Delta exports will still cause negative Old and Middle River, Jersey Point, False River, Threemile Slough, and Prisoners Point flows, but with less inflow from the North Delta. There are no non-critical fish protection periods. Adding more diversion will not protect fish. The new North Delta fish screens will not protect fish1. Bypass flow criteria will not repel salt or protect young fish from increasing diversions and greater tidal reverse flows when they migrate through the Delta. Real-time operations have been around for a long time, and while they have protected water supply quantity and quality, they rarely have protected fish. Comment: The only changes in habitat that were not already required and planned are (1) the over two miles of perforated steel walls along the banks of the Sacramento River in the North Delta, and (2) the considerable reductions in freshwater flow into the Delta and Bay. Most of the habitat improvements in the now defunct Bay Delta Conservation Plan or BDCP are not included in the WaterFix. The SWP and CVP facilities have long been impacted by changing regulations governing both projects’ diversion facilities in the south Delta. On average, D-1641 has reduced SWP and CVP diversions and increased Delta outflows to the San Francisco Bay by about 300,000 acre-feet a year as compared to the SWRCB’s prior requirements. Comment: Since D-1641 rules came online in the mid-1990’s, exports have continually increased, including record levels above 6 maf in 2005, 2006, 2011, and 2017. Water year 2012, a below-normal water year, was not far behind at 5.8 maf. Even below-normal 2010, after three critical water years, saw 4.8 maf of exports, equivalent to wet year exports in 1998 and 1999. Yes, exports were down in the 2007-2009 and 2013-2015 droughts, but were not unlike the 1977 and 1990-1992 drought levels. Compounding the impacts, the biological opinions have decreased diversions and increased outflows by about another 1 MAF a year (Source: MBK Engineers and HDR “Retrospective Analysis of Changed Central Valley Project and State Water Project Conditions Due to Changes in Delta Regulations,” January 2013). Comment: If this were the case, how is it that a record 6.7 maf of Delta exports in wet year 2011, and 5.8 maf in below-normal 2012 were possible under the 2008-2009 biological opinions? The new restrictions, though real on paper, did not restrict actual exports, only the future capacity of exports. The WaterFix plan would eliminate such constraints on total exports. Though MWD, DWR and the Bureau of Reclamation say they would not increase exports, can we really take them at their word with WaterFix’s 40% increase in export capacity? The increased Delta requirements and export constraints have further affected SWP and CVP operations by decreasing operational flexibility and increasing water supply vulnerabilities during dry conditions. This, in turn, reduces project reservoir storage, water deliveries, and supply reliability. Figure 1 illustrates the decrease in average SWP and CVP delivery capability over time due to additional regulatory requirements. As shown in the figure, over a period of a little more than 25 years, the export capability of the two projects has been reduced by over 3 MAF per year. California WaterFix is intended to reverse this downward trend. Comment: Again, real exports have increased year after year as new capacities south-of-Delta have come online. Reservoir storage has been more aggressively used to the detriment of long-term water supply. Restrictions applied have done more to deter future exports; thus the need for the WaterFix. North Delta diversions, fish screen designs, bypass flow criteria and real time operations will be managed to limit effects on listed fish species. Comment: The permitting agencies have set low, unattainable, and arbitrary limits on effects (e.g., 5% loss of fish passing north Delta intake screens). They contend that all the Valley flow and export “valves/knobs” and infrastructure operational options (e.g., gate opening/closure, air bubble screens, etc.) can be “managed” to protect listed fish. Even if that were possible, this does not account for all the unlisted fish including striped bass, American shad, splittail, lamprey, threadfin shad, fall run salmon, native minnows, and pelagic habitat. An Adaptive Management Program would be implemented through a collaborative process with regulatory agencies, project operators, and water contractors. This would provide a structured science process to develop adaptive means of improving conditions for both the ecosystem and water supply. Project operations that respond to real-time Delta conditions would also advance these objectives and provide greater certainty for water deliveries. Comment: The foxes, wolves, and hawks will be there to ensure a continuous supply of chickens from the henhouse. Past adaptive management has focused on protecting water deliveries. These biological opinions determined that California WaterFix as proposed would neither jeopardize the continued existence of species listed under the federal Endangered Species Act (ESA) nor destroy or adversely modify critical habitat for those species. Comment: What happened between the draft and final Opinions? The agencies responsible for the application of federal and state Endangered Species Acts have taken out their false teeth and set them on that beautiful nightstand called adaptive management. Over a period of a little more than 25 years, the export capability of the two projects has been reduced by over 3 MAF per year. California WaterFix is intended to reverse this downward trend. Comment: Again, export records have been achieved in all water year types in the decades of the 2000’s. Yes, D-1641 water quality standards, listed fish biological opinions, and operation permits have placed new rules on “capability” but have done little to appease the appetite for water that the two projects have no right to. Now they want new rights to further wet their thirst. Comment: This figure shows a commitment to constraint (subject to change under “adaptive management”) at the proposed north Delta diversion. What it does not show is the ability to increase north Delta exports by increasing reservoir releases or the ability to export water from the south Delta. The initial operating criteria for California WaterFix includes regulatory requirements that were established through D-1641, the 2008 and 2009 biological opinions for existing water project operations, and new criteria developed through California WaterFix’s environmental permitting process. New regulatory requirements in the assumed initial operation include additional limits on SWP and CVP diversions (i.e., Old and Middle River flow reversals) and flow (i.e., spring outflow, North Delta Diversion Bypass flow). California WaterFix also includes a permanent operable gate at the Head of Old River for fish migration protection and criteria for its operation. Comment: All of these rules have been weakened in recent years to maintain water diversions. All the “rules” for the existing projects operations are in the process of review and face possible change because the ecosystem and listed fish have not been adequately protected. The proponents of WaterFix have not proposed or evaluated new rules for existing infrastructure and operations or for new infrastructure and operations if WaterFix were constructed. 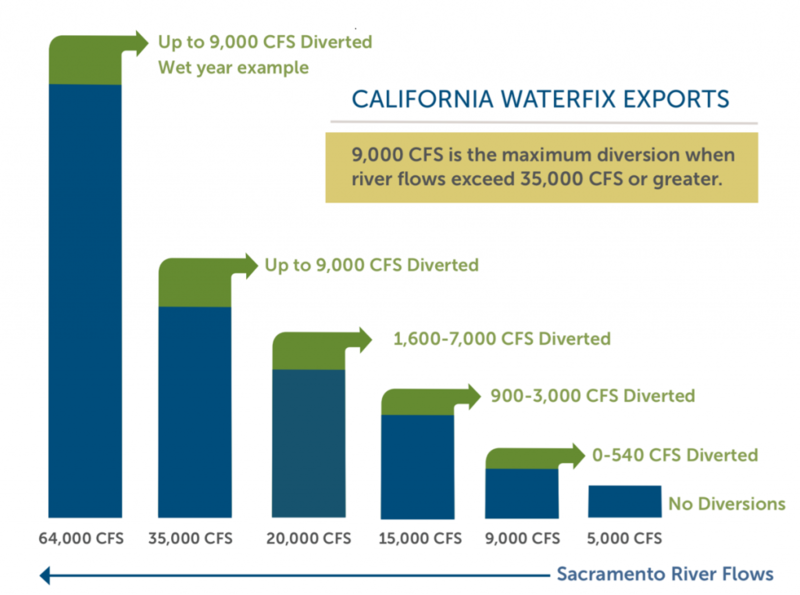 The flexibility provided by California WaterFix also improves the capability of moving water transfer supplies across the Delta. The increased conveyance and operational flexibility would significantly increase the amount of available capacity to accommodate the movement of water transfers across the Delta and the SWP and CVP system. Comment: Water transfers have significant potential impacts. Existing constraints would be removed. The variable split between north and south diversions would allow a flexible and improved approach toward compliance with flow and salinity standards. For example, if salinity increased on the lower Sacramento River, the SWP and CVP could opt to increase diversions in the south Delta and thereby allow greater flow down the lower Sacramento River. In contrast, if salinity increased on the lower San Joaquin River, the SWP and CVP could decrease water diverted in the south Delta and increase diversions in the north Delta, thereby increasing flow in the lower San Joaquin River and south Delta. The flexibility offered by this example would limit reverse flows in the central Delta near Jersey Point, which in the past have drawn saltier water from the San Francisco Bay into the central Delta. Comment: None of these assumptions are true. Lower Sacramento River flows are affected by south Delta diversions. 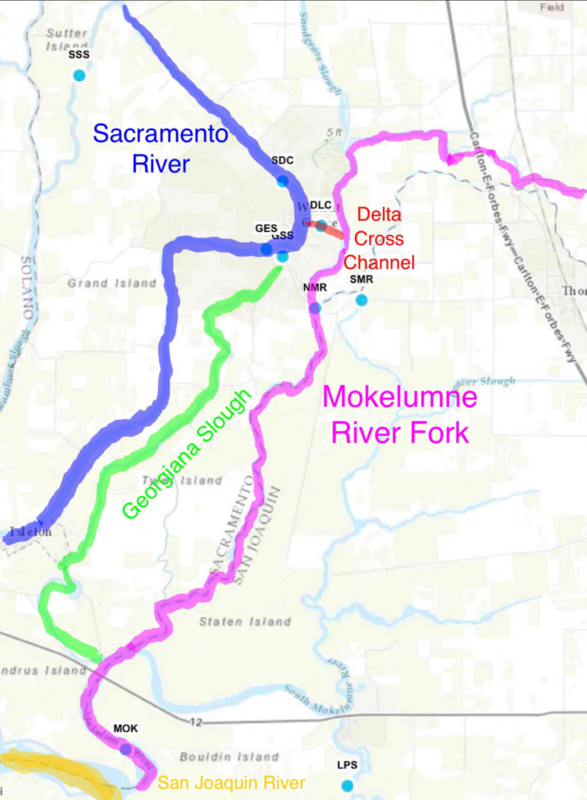 North Delta diversions would affect Jersey Point reverse flows on the lower San Joaquin River because less water would pass through Georgiana Slough and the Delta Cross Channel. The Delta Outflow Index would remain the same whatever the split. With California WaterFix, the SWP and CVP would continue to meet existing Delta water quality, fishery objectives, and any future regulatory requirements. Increased diversion flexibility afforded through the approval of California WaterFix would only enhance the capabilities of SWP and CVP projects to meet existing Bay-Delta requirements. Because California WaterFix can take advantage of opportunities to divert and store wet-period storm flows and allow for south Delta diversions in drier periods, in-Delta water quality can be better managed. As a result, the proposed California WaterFix operations would continue to be as protective, if not more, of existing beneficial uses. Comment: How does MWD know what future requirements will be, let alone whether the Projects can meet them or the water supply cost of meeting them? Allowing continued south Delta exports in dry periods has been the heart of Bay-Delta problems for many decades. Most wet-period storm flow is stored in Valley reservoirs; that remaining has been allocated for the Bay. There are no proposed changes in infrastructure or operations that would make WaterFix more protective of existing beneficial uses.